First though, how much time do you have? Take Hwy 6 at north end of Bishop and go 3 miles north. You will find Laws on the East side of Hwy 6. Follow West Line St. to the Buttermilks 6 miles west of town. Follow West Line St. (SR 168) 12 miles to Bishop Creek Canyon or East Line St. 3 miles to the Owens River. Visit the Bishop Visitors Center or click here for a map of the walking tour of 15 striking murals that depict Owens Valley History and Culture. 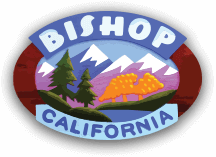 Take a leisurely walk at the City park or adventure to the scenic rural countryside of the Bishop area. Wonderful birding locations, start at the Bishop Visitors Center on Main Street located at the City Park. Pick up your Birding Guide today! 18 hole Golf course open year round, located on Hwy 395 at the south end of Bishop Call 872-5411 for tee time. Watch the sunset or explore the natural beauty of the High Sierra. Best photo times are early morning and just before sunset. Don’t forget to visit our galleries. Ancient Indian petroglyphs (rock carvings) and rare pupfish at the Volcanic Tablelands & Fish Slough just north of Bishop. Since we don’t know when those days will present themselves to you, we’ve created four short adventure possibilities – one for each season. And you get to try four fantastic experiences that could be the start a beautiful relationship with our big backyard. 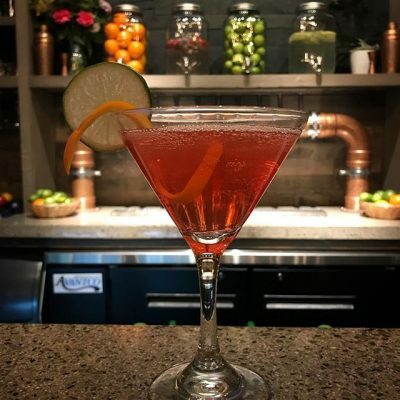 Click on our 4 Hour Adventure blog post here to find out a what to do, how to get there, and the best time of day for it! 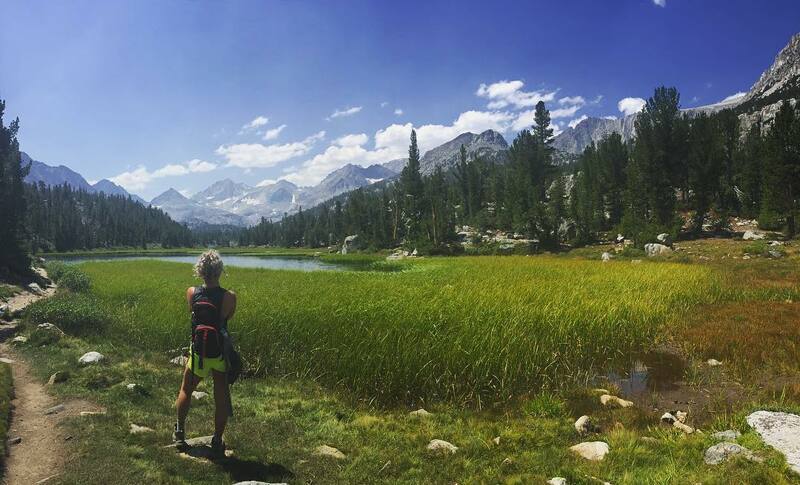 Go West on Hwy 168 from downtown Bishop and drive 16 miles to various trails leading to high alpine lakes and streams in the John Muir Wilderness. Go north from Bishop to the Chalk Bluffs via Hwy. 6 or take the Pleasant Valley Reservoir Road off Hwy. 395. A climber’s paradise awaits. Go west on Highway 168 from downtown Bishop and drive 16 miles to Bishop Creek Canyon. Beautiful high alpine lakes, streams and majestic scenery galore. Head south on Hwy. 395 from Bishop to Keough Hot Springs or call Celina Hunt at 872-3548 for an appt. Take a ride and see the great Eastern Sierra on Horseback. Click here for info. Click on the this link to see what you could do! From Bishop, go south on 395 for 15 mi. Take 168 west at Big Pine for 26 miles. Return to Bishop in time for dinner. Just travel north of Bishop to the reservoir or north & east to lower Owens River. Select from our fine selection of dining locations on page 61 of this guide. Shop the many Antique shops and read about the history of Bishop at BishopVisitor.com or at our local bookstores.. Fantastic high country and winter valley locations for your camping adventure. Spend a couple days or more on adventure of a life =time, click here for more complete pack trip information. Go West on Hwy 168 from downtown Bishop and drive 16 miles to beautiful high country adventures. Oldest living trees in the world. From Bishop, go south on 395 for 15 mi. Take 168 west at Big Pine for 26 miles. Return to Bishop in time for dinner. 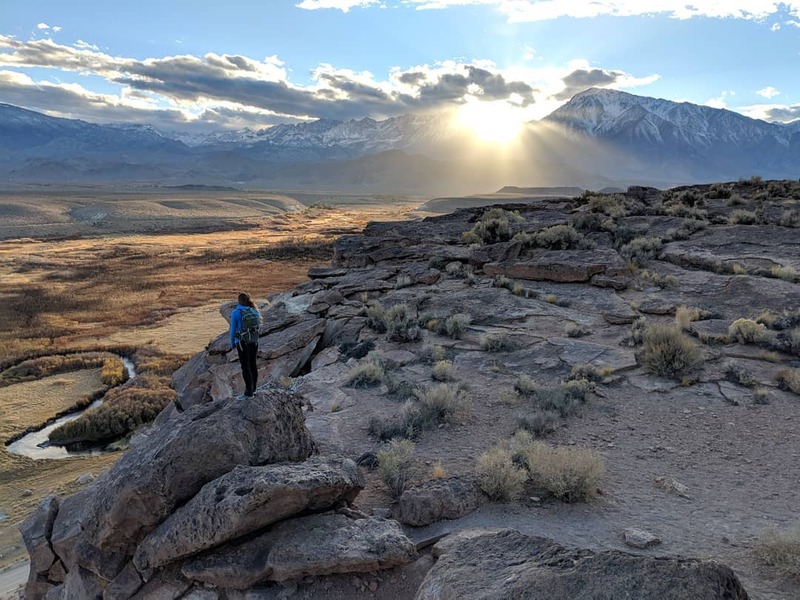 Go West on Hwy 168 from downtown Bishop and drive 16 miles to Paiute Pass & Bishop Pass, trailheads leading to the spectacular John Muir Trail. Devils Postpile & Rainbow Falls, Mammoth Lakes area just 35 minutes north of Bishop. The cultural history of the Eastern High Sierra located in Independence , just 47 miles south of Bishop. Bishop, California is located in the heart of the Eastern Sierra in a deep valley known as the Owens Valley. It is bounded to two magnificent mountain ranges, the Sierra Nevada and the White and Inyo Mountains. We call this incredible space in and around our sweet town our ‘big backyard’ and there is so much to do here that you’ll want to come every season. A winter weekend getaway is wildly wonderful here and we suggest you reward yourself with 4 days from Thursday through Sunday. Here’s what we suggest you do to get a good deal of recreation and relaxation. Take a look at the full Women’s Winter Weekend itinerary here. 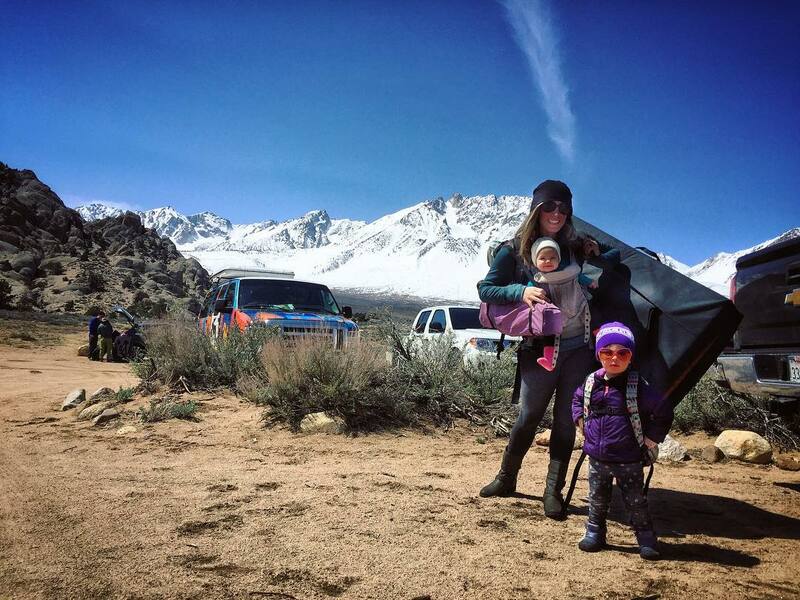 Bishop in winter offers the perfect family getaway. Get out of the big city and into the mountains where the snowy peaks rise up on either side of this broad, beautiful valley. We’ve created a suggested 5-Day adventure itinerary so you don’t need to figure it out. Just follow the links in our blog and make your bookings for your 5 days of fun. Take a look at the full Family Winter Vacation itinerary here. Images via Instagram & Facebook. Make sure you tag your photos #VisitBishop so we can find them!